Question: Should I feed my fish right now? Fish are cold blooded animals. This means they do not generate their own body heat and their body temperature is reliant on their environment, the water temperature of your pond. When the water temperature is cold, below the mid 50’s, your fish conserve energy by hanging out at the bottom of the pond, where the water is warmest. At this temperature your fish cannot generate the enzymes necessary to digest food and they live off the fat they stored on their body all summer. Between 55 and 65 degrees it is safe to feed cool season food. Cool season food has less protein and is easier for your fish to digest in cool temperatures. Above 65 degrees your fish are much more active and you should feed your fish a high protein food. During a warm winter where the water hovers around 50 to 55 degrees can be a problem for fish owners. Our fish are more active than usual and seem to be asking to be fed. There are two potential problems with feeding your fish at this temperature. As previously mentioned, if you feed your fish and the temperature drops below the mid 50’s, your fish are most likely unable to create the enzymes necessary to digest the food. The food can putrefy in their intestinal track, creating bacteria that can get in their blood and kill your fish. A secondary problem is that at low temperatures your biological filter will not be active and able to cope with increased ammonia levels associated with feeding the fish. If the ammonia levels rise too high you can kill your fish. 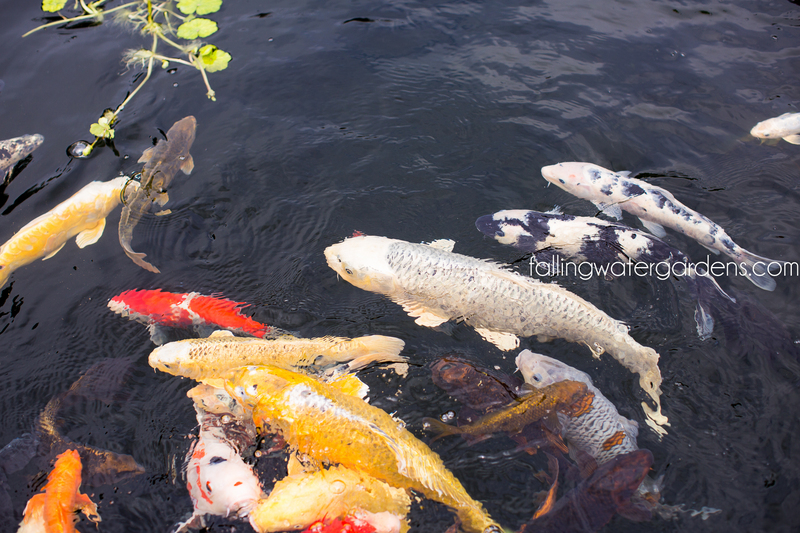 Koi and goldfish are omnivores and can usually find enough to eat at the beginning of the season. If they are hungry they can eat the algae growing in the pond that is easier to digest than fish food. Our suggestion to fish owners is always the same; when the water temperature is hovering in the mid to low 50’s and there is a chance that we can get freezing weather that can drop the water temperature below the mid 50’s, it is best to not feed the fish. Just to be on the safe side! 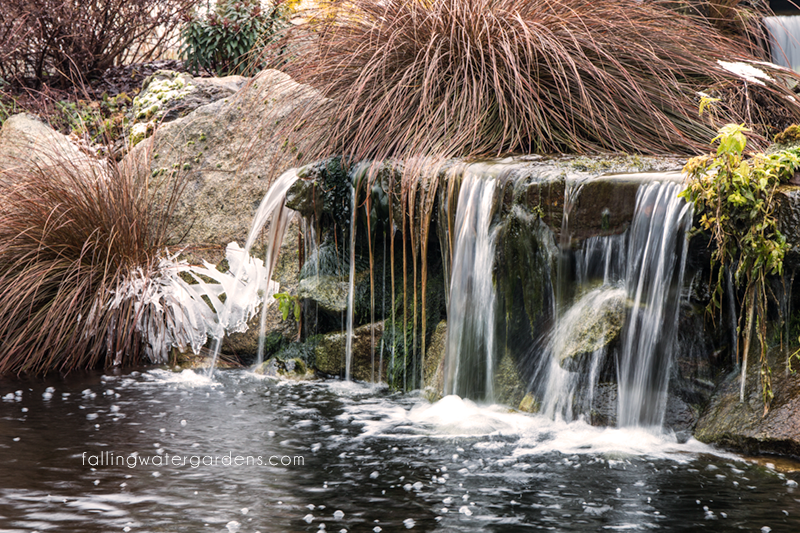 Our koi pond at the nursery is currently 50 degrees.